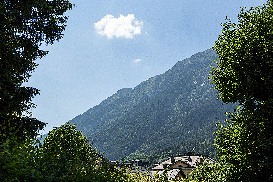 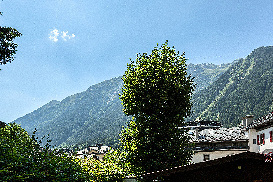 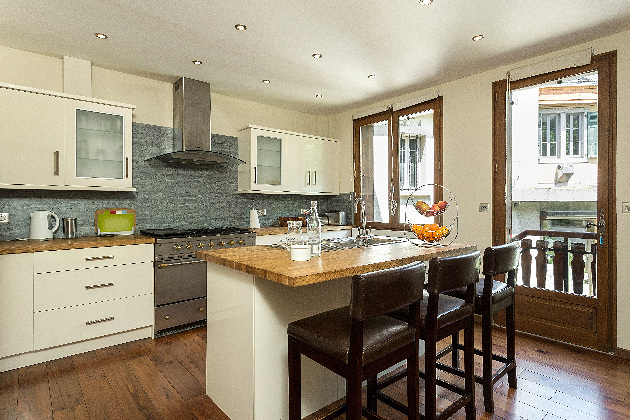 This is a luxury 4 bedroom chalet with an enviable location right in the centre of Chamonix, just a minute's stroll from all the bustle, yet hidden from view with a private garden space and excellent views of the Mont Blanc range. 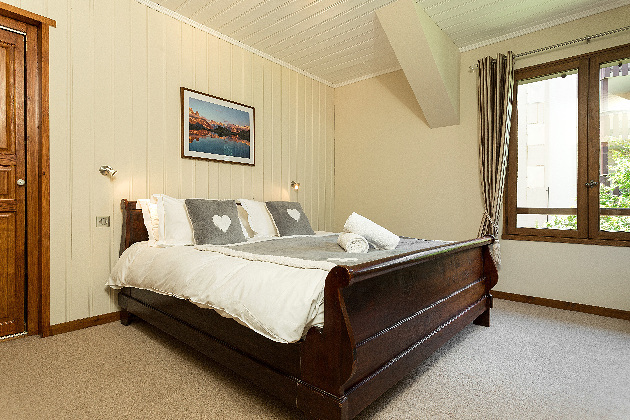 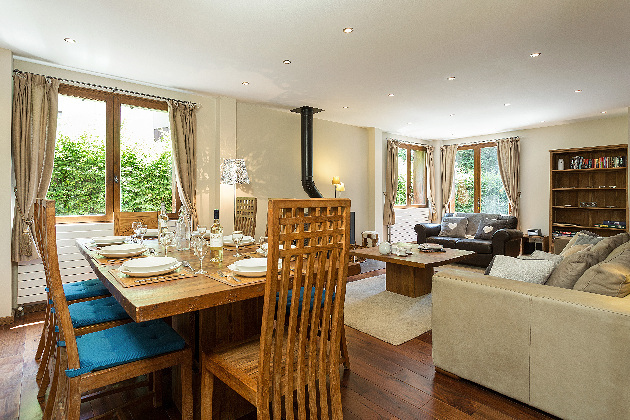 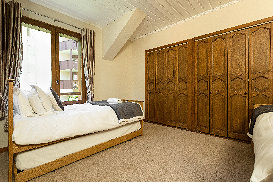 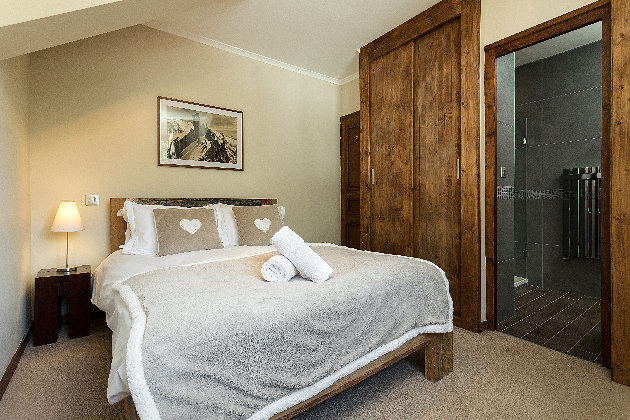 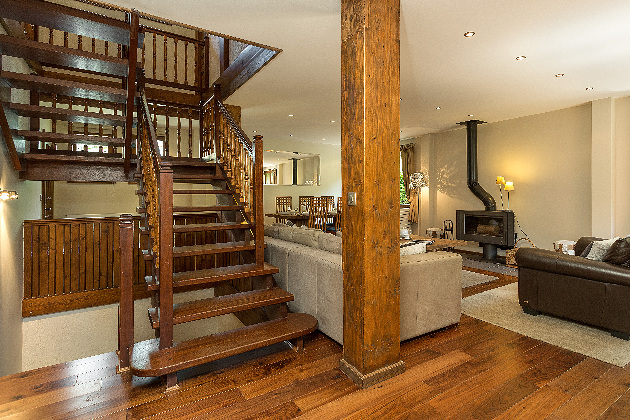 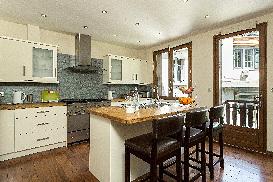 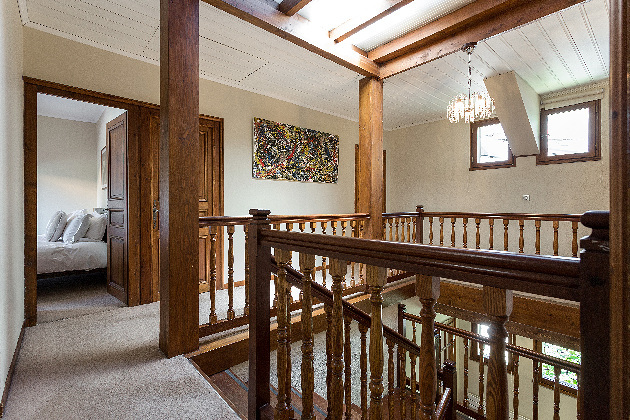 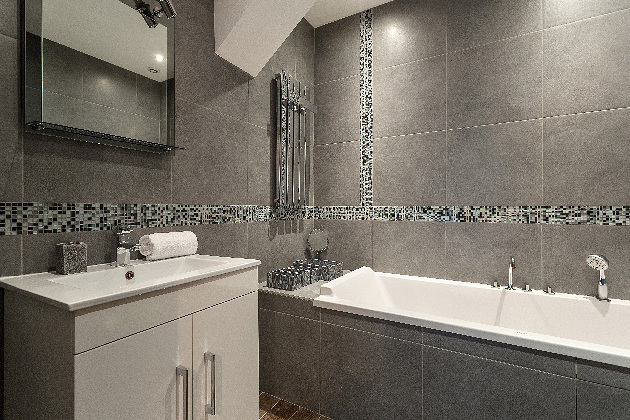 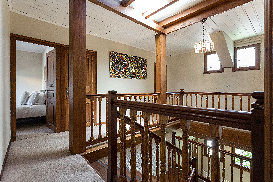 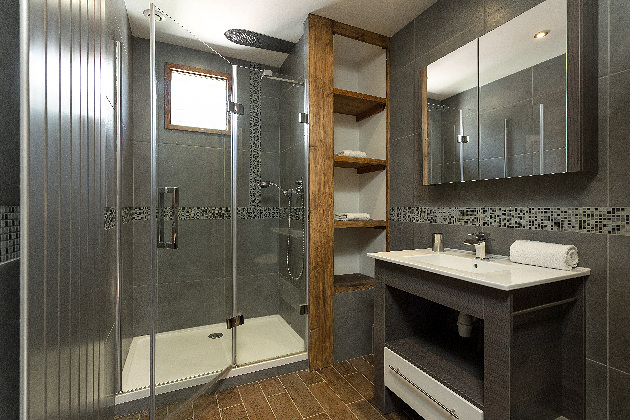 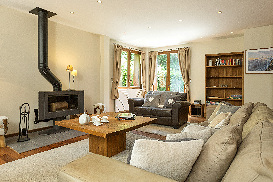 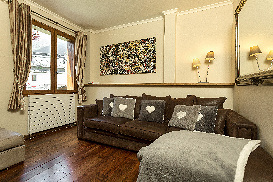 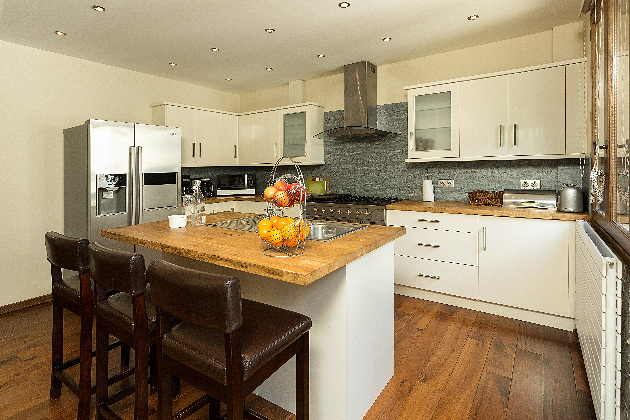 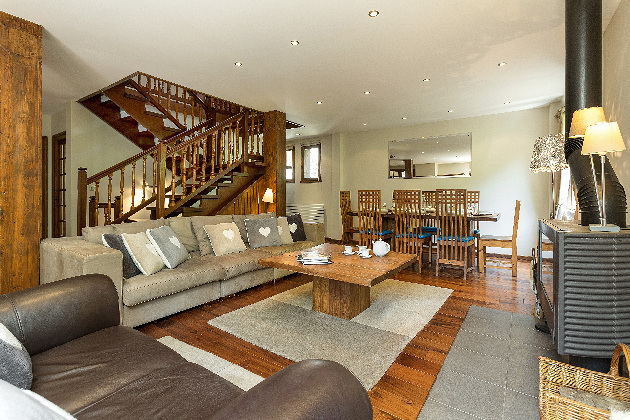 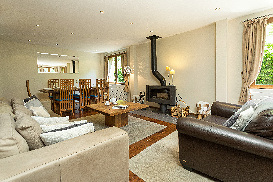 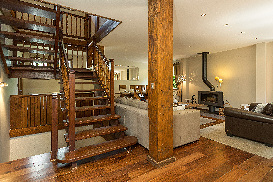 The chalet has been entirely renovated to an excellent standard, and set on 3 levels is extremely comfortable with copious living and social space. 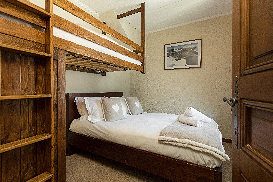 It has 2 double bedrooms with en-suite bathrooms, a bedroom which offers flexible double or twin accommodation, and a twin room which also has 2 pull out truckle beds, so can be a great kids room. This is a chalet to suit absolutely every kind of group, from families with children and groups who want to ski and party to the holiday makers who value their quiet time by offering the luxury of privacy and calm without having to sacrifice any convenience of being only a few minutes’ walk from the Planards nursery slopes, and the restaurants, shops and bars of Chamonix. 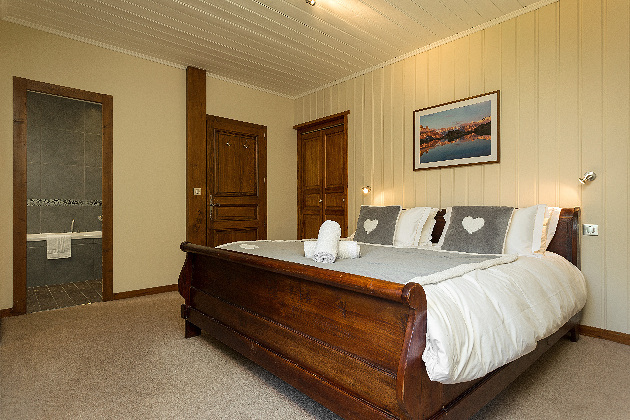 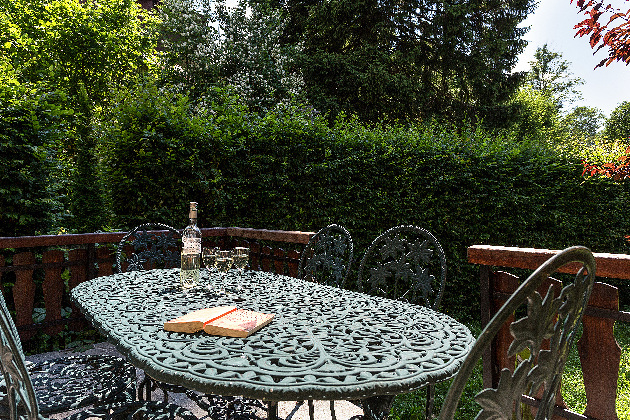 The chalet can also be teamed with Mazot Loppe which is a cute one bedroom fully renovated mazot which shares the garden of this grand maison, to make groups of up to 14 possible. 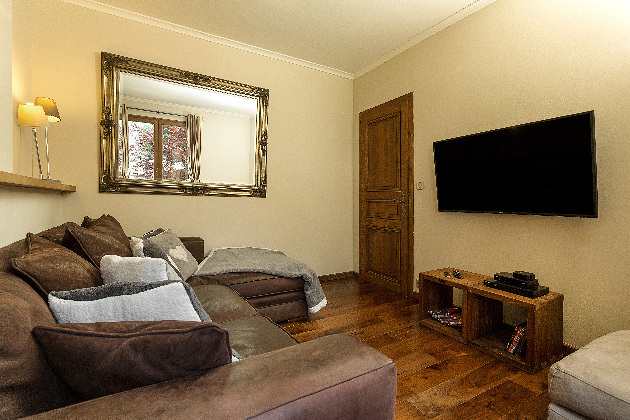 Please note, that due to its superb central location, this property could be subject to noise at night. 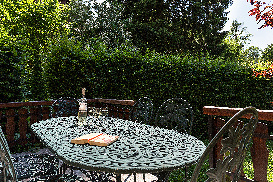 However, as the property is enclosed in its own grounds, it is fortunately sheltered from most street noise. Please also note this is a non-smoking, pet free apartment. 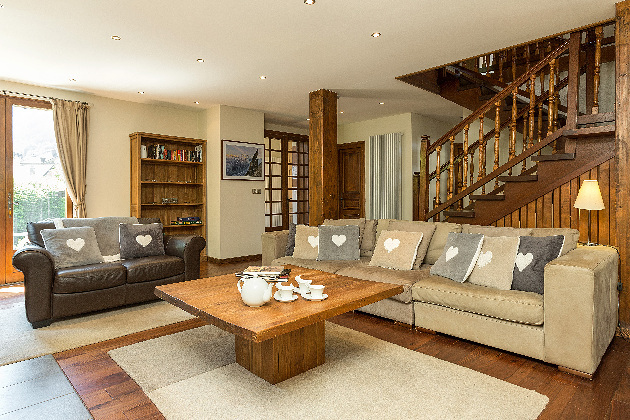 Chalet Aurelia is a beautifully property nearly entirely renovated to an excellent standard, and set on 3 levels is extremely comfortable with copious living and social space.